Updated Friday March 23, 2018 by FYFC. 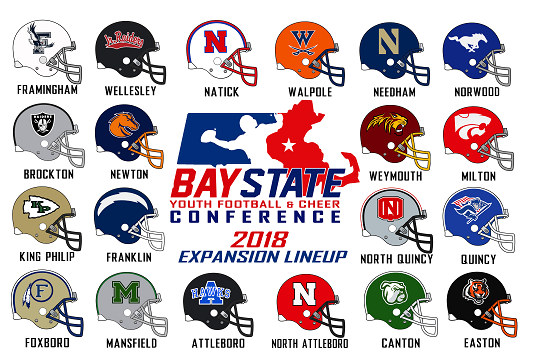 We're excited to welcome the newest towns to the Bay State League!! We are 20 strong as of now for Football and Cheer. We will have amazing competition moving forward in the 2018 season and for the years to come.